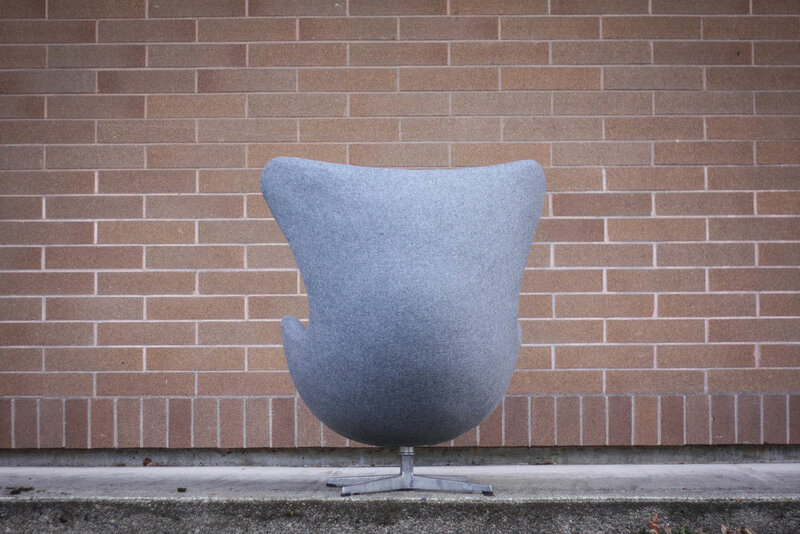 Authentic Egg chair with tilt control by Arne Jacobsen for Fritz Hansen. Pre 1970's chairs as noted by the early version, solid aluminum, fluted bases. 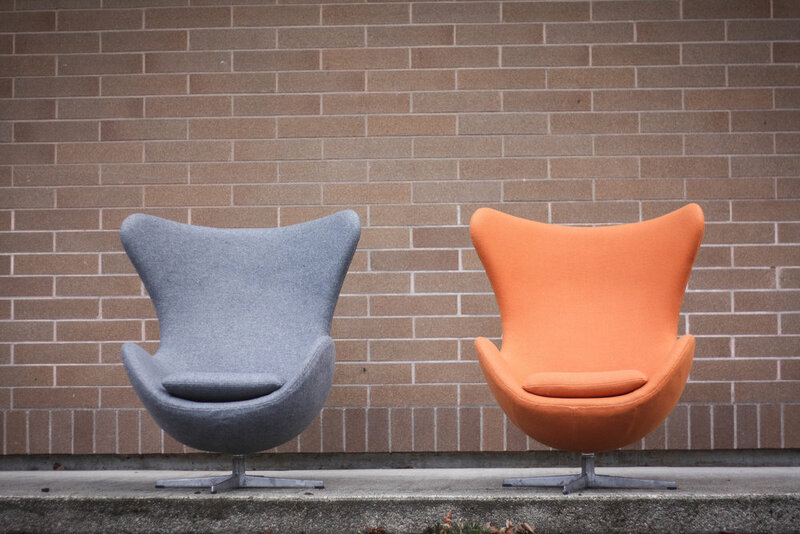 No restoration needed on this sweet pair of egg chairs.